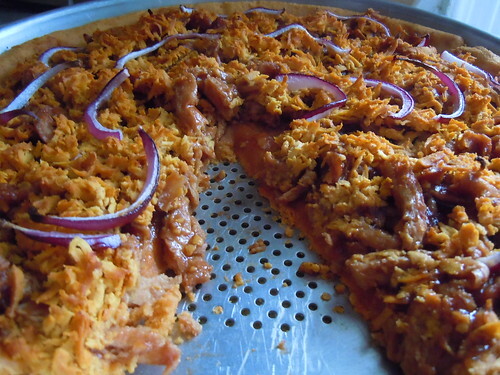 A BBQ Soy Curl pizza with St. Martaen vegan gouda and red onions. CC image via flickr user jaundicedferret. Posted: 05/4/13 at 10:19 pm. Filed under: Saturday Garbage Plate. Photos courtesy of Aid Animal Hospital. Lila is a very sweet young lady that loves to purr and rub all over you. She tested negative for feline leukemia, and is up to date of vacccines. Come by Aid Animal Hospital or call 816-363-4922 to meet the sweetie pie! Posted: 05/3/13 at 11:50 am. Filed under: Find-a-Friend Friday.